TODAY’S LESSON: The biggest thing stopping you is you! It’s a fact: the acoustics are always better in your shower. So what? 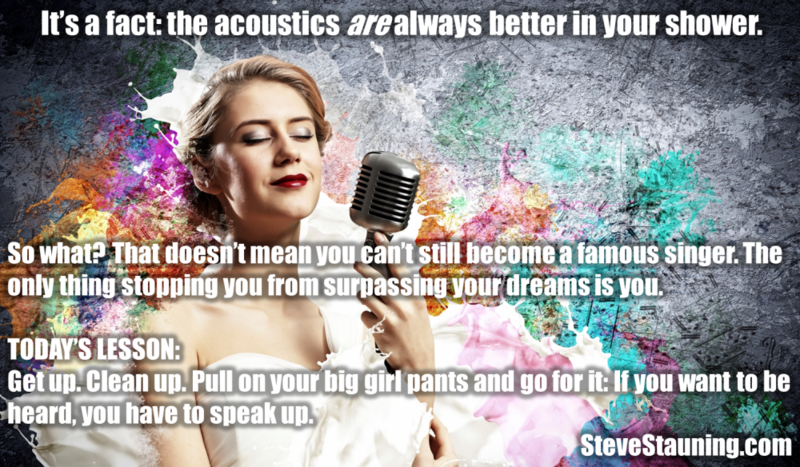 That doesn’t mean you can’t still become a famous singer. The only thing stopping you from surpassing your dreams is you. Get up. Clean up. Pull on your big girl pants and go for it: If you want to be heard, you have to speak up.